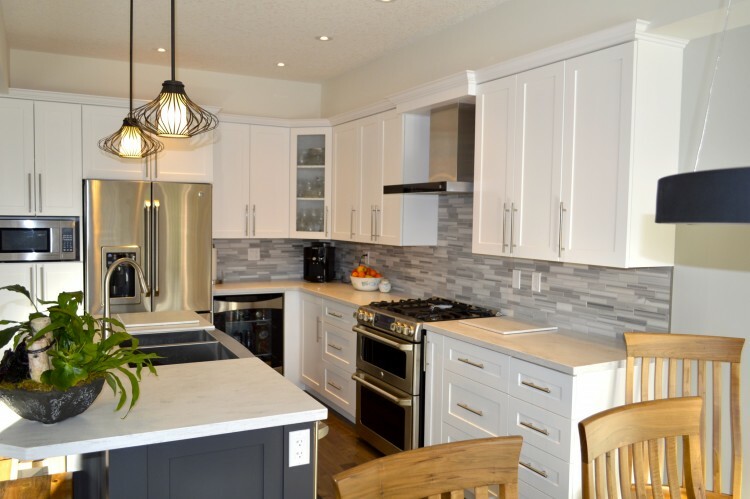 Upscale Townhouse Remodelled | Built By Humber Ltd. 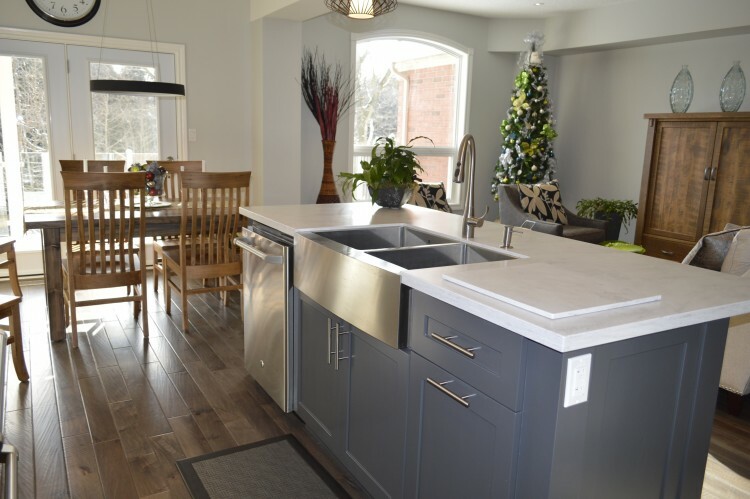 This lovely townhome located on the Grand River in Fergus needed some upgrades before the clients could move in. The renovations included removing a main support wall and installing a large beam to open the space up. 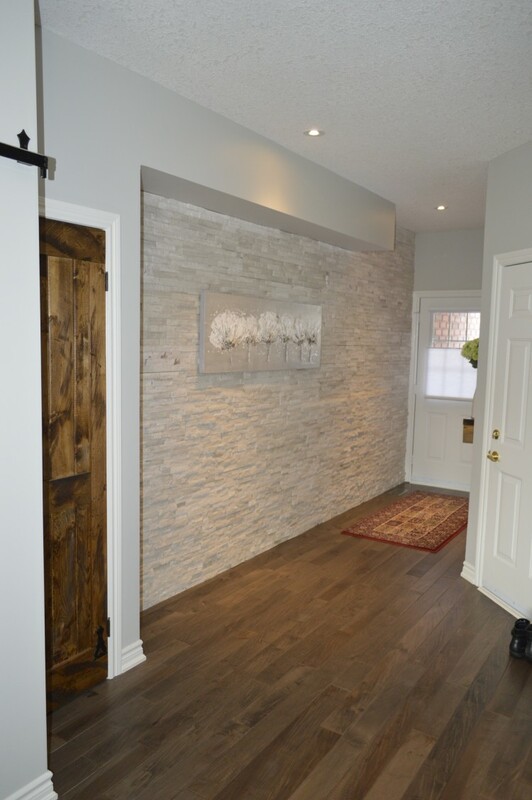 A feature stone wall at the front entrance was installed. 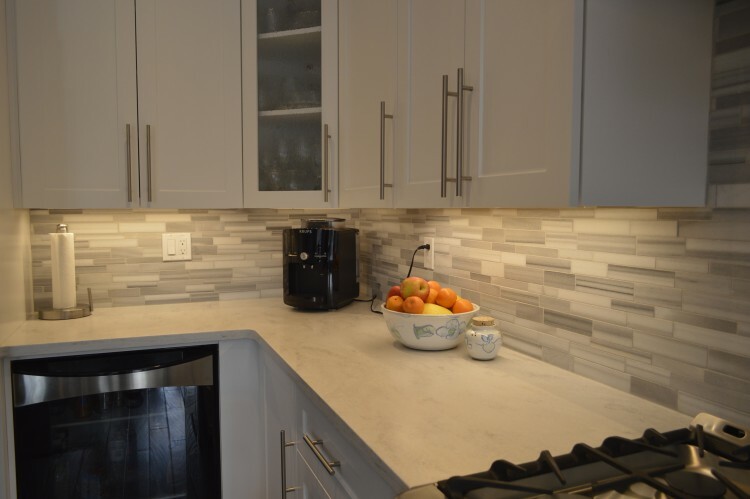 Coordination of a new kitchen with an island was managed by communicating with a kitchen cabinet manufacturer, plumber and electrician. 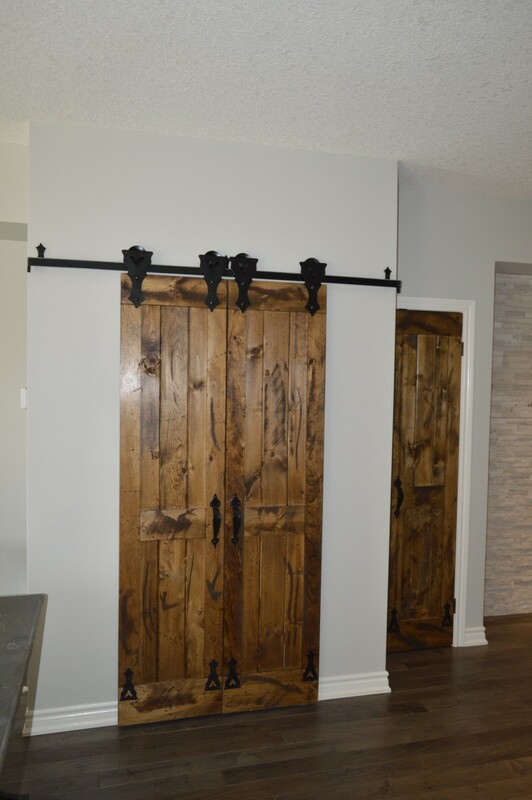 The mainfloor closet space was reconstructed to open up the space from the front door to the back of the home. 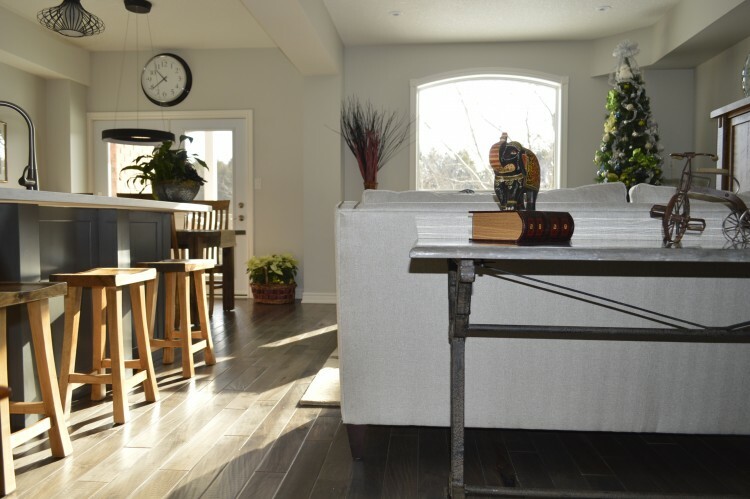 Flooring was removed and hardwood was installed throughout. 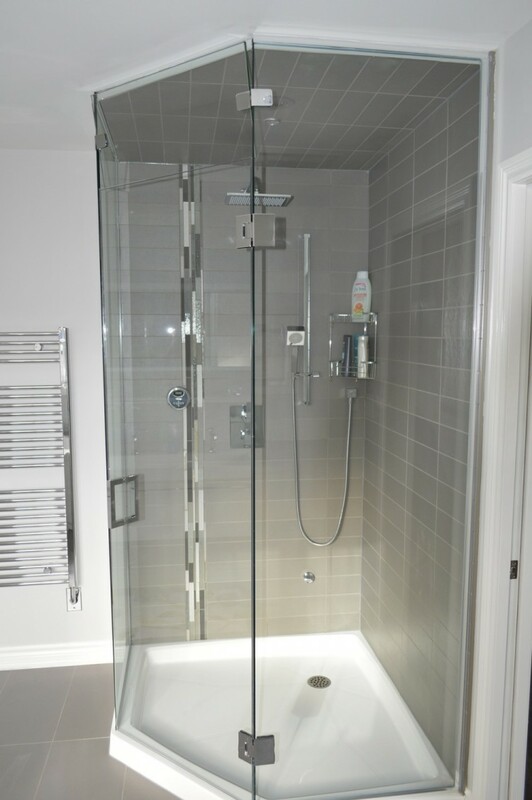 A new master ensuite to include a large soaker tub, corner shower with steamer was installed. 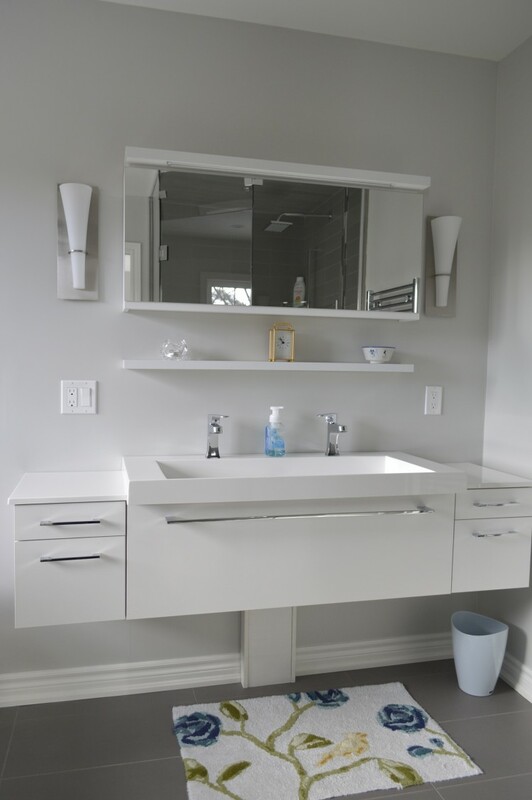 Also installed was a floating double vanity. 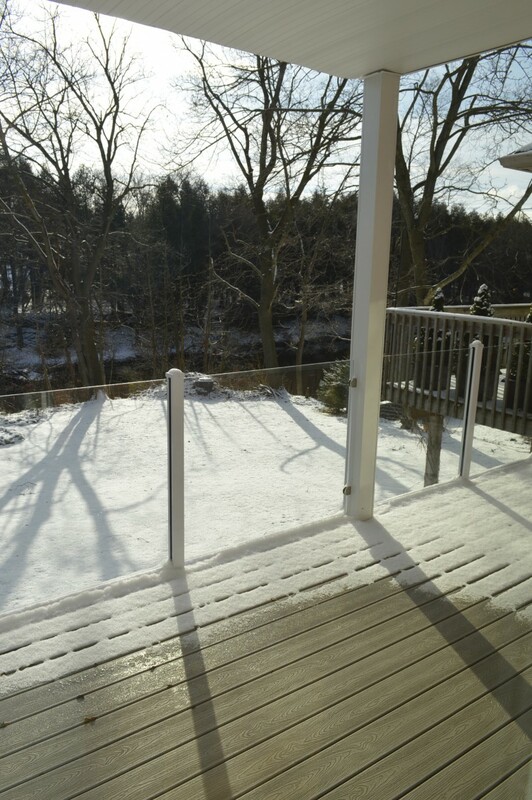 Decks were replaced with glass railing and composite decking with dry snap product installed underneath to create a water proof space under each deck. A generator was installed for uninterrupted power when there are power outages. 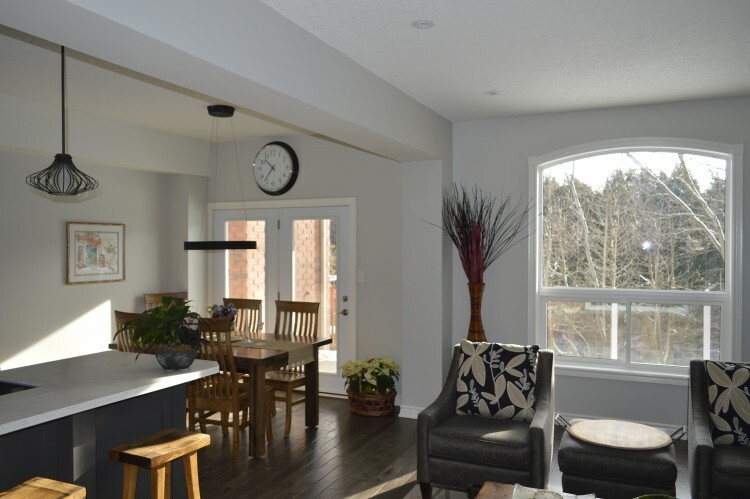 New patio doors and a new living room window was installed. 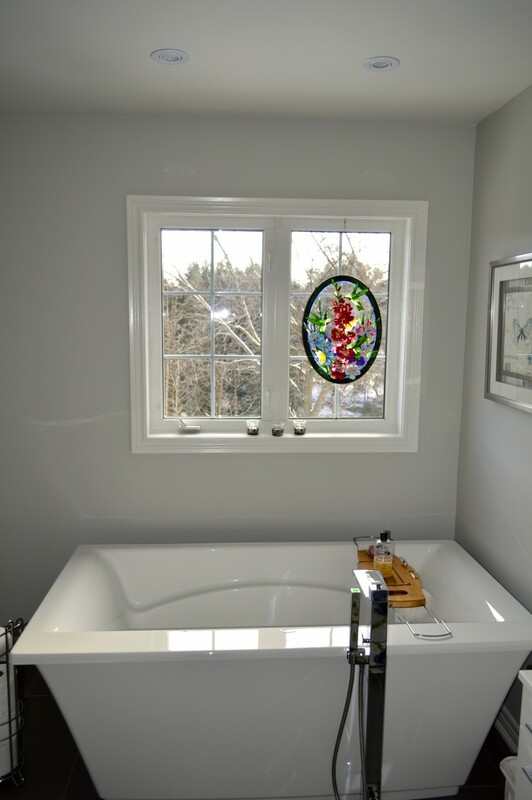 Trim throughout the renovated areas were also professionally installed. 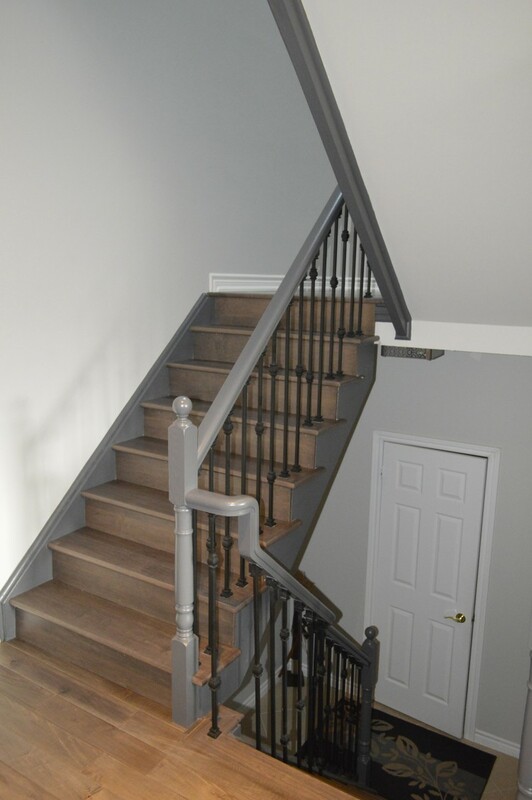 Stairs were capped in hardwood to match the new hardwood flooring. New wrought iron spindles were installed and the railing was painted.